Gambling has been an integral part of the United Kingdom's fabric for hundreds of years so it's little wonder that when online casinos burst on the scene the UK was one of the first to institute UK Online Casinos. However, this doesn't mean that the UK's online story has not been without its pitfalls. Learn all about here. As one can imagine, there is a vast choice of UK Online Casinos for players to choose from which means that as a player you ordinarily would have to wade through a lot of chafe before finding the wheat. However, thanks to the dedicated team at GamblingPlanet, you need not look further than our Online Casino Review page for the best UK Online Casinos. Not only have all the casinos on our site been handpicked for their safety and security, but we have also made sure that our players have access to some of the best Online Casino Bonuses on the net. So whatever your age or budget, we've got you covered! 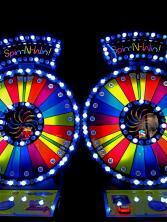 Offer players a varied choice of online casino payment options where players can pay using pounds. While gambling is completely legal in the United Kingdom (provided that your casino of choice is licensed by the UK gambling commission), this doesn't mean that everything is a free-for-all, in fact, UK casinos both of the land-based and the online variety are very heavily regulated. Let's take a closer look at some of the milestones which have shaped the UK gambling scene. On 1st November 2014, the UK Gambling Commission put in place the Gambling Licensing and Advertising Act in order to regulate all casino operators that “transact with, or advertise to, British consumers”. This enforcement meant that all casinos offering their services to players from the UK had to be independently assessed and licensed by the government. This enforcement also extended to which casino operators could advertise and where. It doesn't matter whether casino operators are situated in the UK or outside of the jurisdiction, once you are offering your services to the British public, you need a license from the UK Gambling Commission. In addition to this, all online casinos are legally bound to pay a gambling duty or tax of 15% on all they earn from UK online players. A year after the 2014 Gambling Licensing and Advertising Act was implemented, changes were made to the legislation to further protect UK players. Amongst these changes, there was the requirement that online casinos employ and contract software developers that are regulated by the UK Gambling Commission and that all online casinos that have UK players have to offer players a time-out and automated self-exclusion facility as part of the social responsibility code provision. Thanks to this law amendment, software companies need a license in order to be able to provide games for online casinos as do all those that manufacture, supply, install or adapt gambling software. As stipulated in the 2014 Gambling Licensing and Advertising Act, the law applies to both software businesses based in the UK as well as abroad. Further changes were made in 2017 to protect UK gamblers when it was ruled that customers must have access to not less than 3 months of gambling and account information for a minimum period of 12 months which they can request. In addition to this, UK players must have access to information about their total net deposits and they also must be able to set financial limits to their accounts should they want to. Each and every online casino site we have on GamblingPlanet goes out of its way to cater for its specific audience which means that all the games you will find at Online Casinos UK are aimed at what UK players want. What's more, you can rest assured that whatever games you like to play at brick and mortar casinos, can also be found online. Thanks to the fact that the majority of UK players love playing Online Slots, UK players can find a plethora of Slots Casinos at the Online Casinos UK casinos we have in our toplist. If they want to play Online Bingo, there are casinos in our toplist specifically aimed at offering the best Bingo games on the net. It really is just a question of going to the Online Casinos Reviews page and picking and choosing what you think will work best for you and your tastes. There truly is nothing better than playing at online casinos in your own currency which is why all Online Casinos in the UK offer players the opportunity to play using British Pounds. This means that when players go to withdraw their hard-earned winnings, they don't lose a single pence in the process because there has been no currency exchange. Of course, there's no point in the currency being the right one if the payment methods aren't great too but whether UK players opt to use Paypal or Bitcoin, our online casinos have it covered and some casinos even offer bonuses for using one particular payment method over another. What is the legal gambling age in the UK? The UK is pretty strict about the fact that all players have to be 18 or over in order to be able to gamble and they make sure there are no exceptions to this rule by carrying out rigorous checks on all identification. If it is found that you are under 18, you will most likely be blocked from playing and anything that you may have won will not be paid out to you. It really is just best to wait until you are of age. Is it legal to play at online casinos outside of the UK? Yes, it is, however, it is of tantamount importance that you check whether or not your offshore casino of choice is licensed to give a service to British players. It is illegal for a UK citizen to play at casino which has not been licensed by the Gambling Commission. Is it actually important for me to play at a casino which is regulated by the UK Gambling Commission? You may not think it is important for you to play at a casino which is regulated by the UK Gambling Commission but actually, there is nothing more important for you as a player than playing at a legal casino. There has been more than one occasion when a player thought they knew better and ended up being scammed out of thousands of pounds. Unregulated casinos are unsafe and you play at them at your own peril. How can I ensure that my casino of choice is licensed by the UK Gambling Commission? We don't like to toot our own horn but all the UK Online Casinos offered on our site are fully licensed by the UK Gambling Commission. Each and every casino we have here has been both played at and loved by a member of our team. Is my privacy protected by UK Online Casinos? If you play at one of our licensed and regulated casinos then your details will definitely be protected because all our casinos go through a number of rigorous checks to ensure player privacy. Would I be able to set up an account spending limit? Before 2017, only select casinos offered this but thanks to the legal amendments of 2017 which we previously discussed, UK Online Casinos are legally bound to provide their players with the option of setting up a spending limit. Do UK Online Casinos offer the entire range of casino games which can be found online elsewhere? Yes, UK Online Casinos literally have it all and then some. Whether you want to play some Online Craps or you want to turn your hand at Online Roulette, UK Online Casinos usually have it all. Play at an Online Casino UK for real money! If you're a UK player then you really have the best of the best when it comes to safe and secure gameplay provided you play at a licensed and regulated casino. Indeed, while safe gambling isn't the first thing to come to mind when envisioning the towering Union Jack, there is little doubt over the fact that UK Online Casinos are some of the best online casinos in the world. So what are you waiting for? Browse through the above toplist and prepare to have your mind completely and utterly blown.